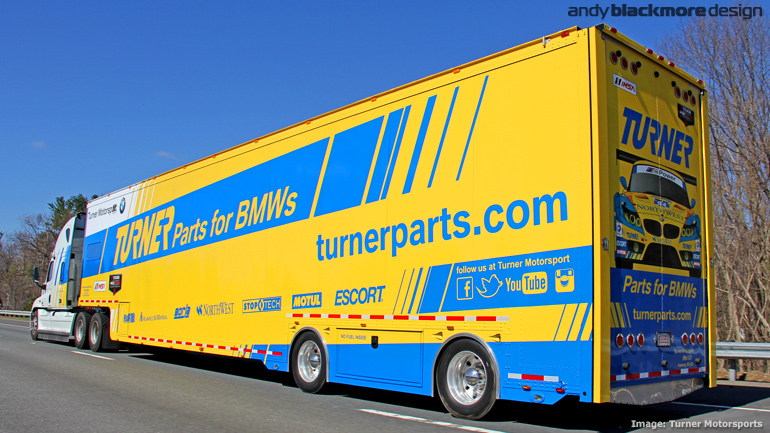 Sponsored by Dunlop Motorsport (Europe), the guide features car, chassis, driver details and is updated as needed during race week. The only guide which is kept up to date in this way. 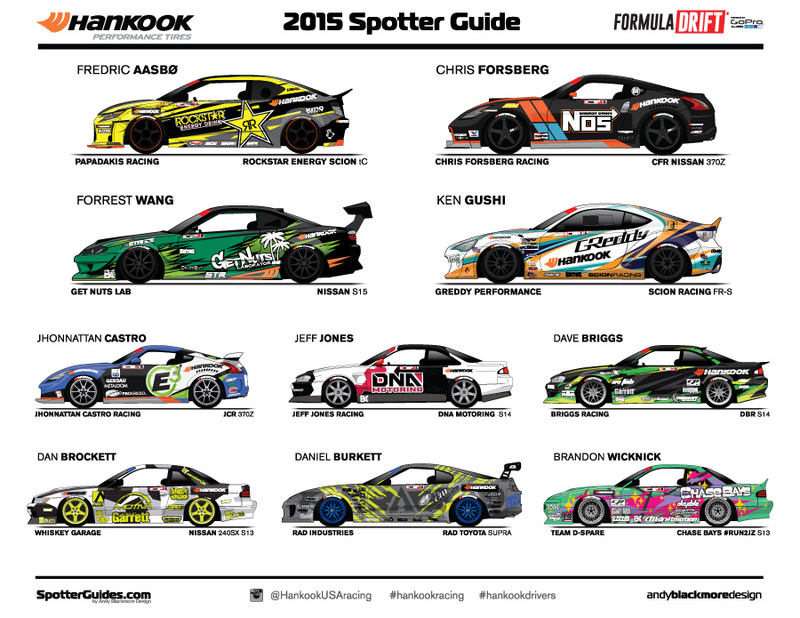 The latest iteration of the Hankook Tire Spotter Guide for Formula Drift has been launched on sister site, SpotterGuides.com. 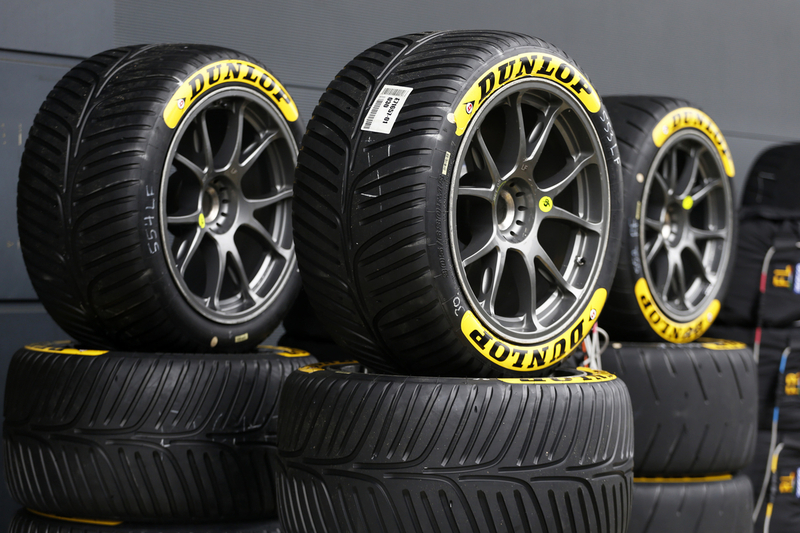 In its fifth year, the guide features the eight Hankook shod cars in their year’s Formula Drift Championship which starts later today in Long Beach. 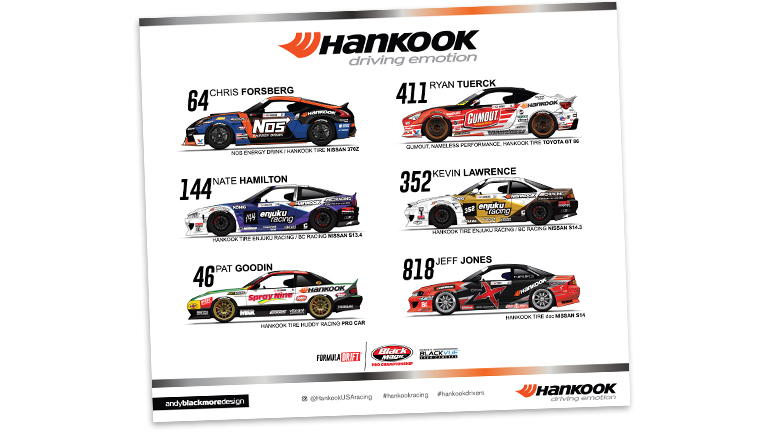 Download the guide here, or if you are at any FD event in 2017, look for the Hankook Hauler, or during the Autograph session. 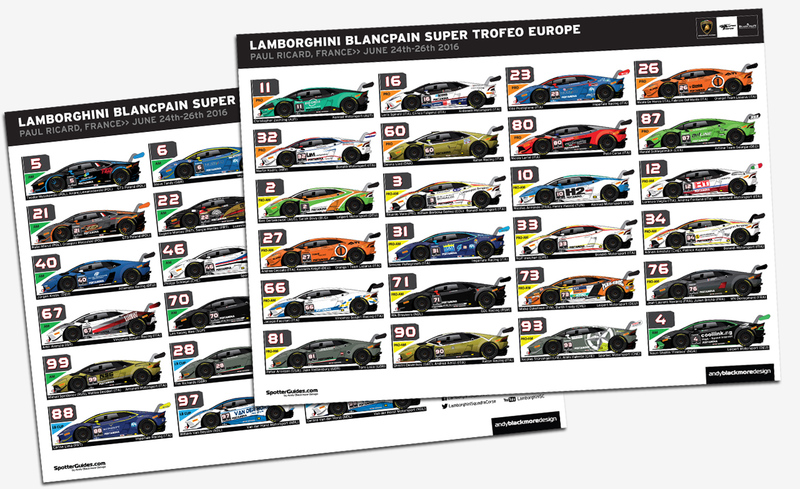 Lamborghini Super Trofeo European Spotter Guide joins North American counterpart. 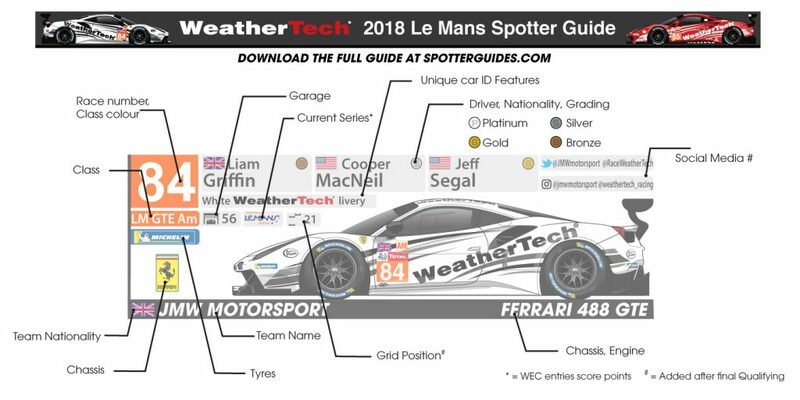 You can download the European Spotter Guide HERE, while the North American guide will be updated and released on Monday for the Watkins Glen event. 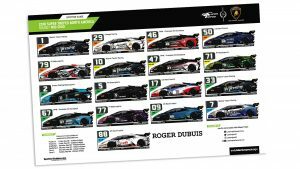 For those going to Watkins Glen, each of the championships running will have its own Official Spotter Guide including the debut of the Pototype Lites Spotter Guide. 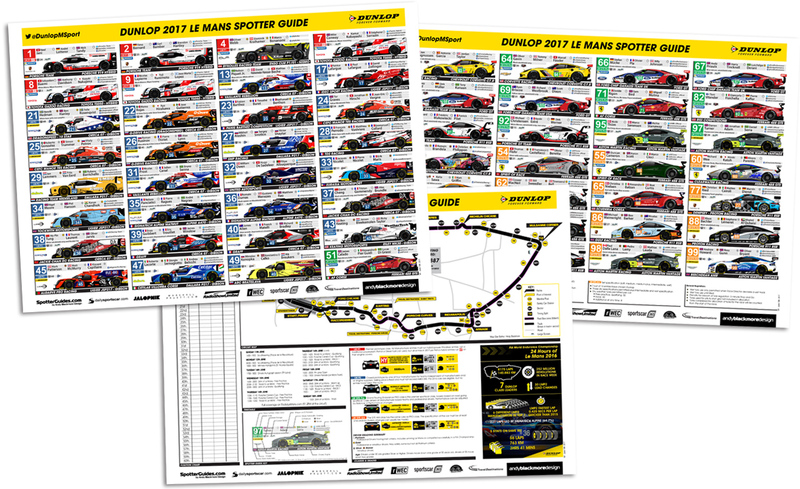 I am very pleased to announce the 9th Le Mans Spotter Guide has been launched, thanks to a partnership with Dunlop Motorsport. 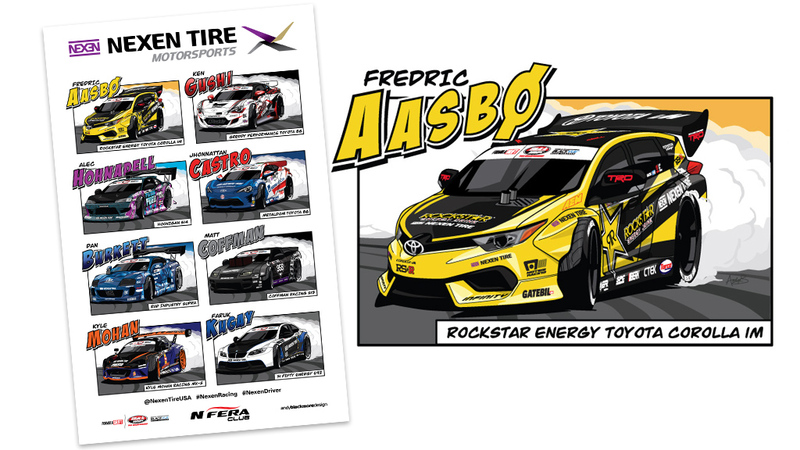 Nexen Tire Formula Drift Spotter Guide launched. 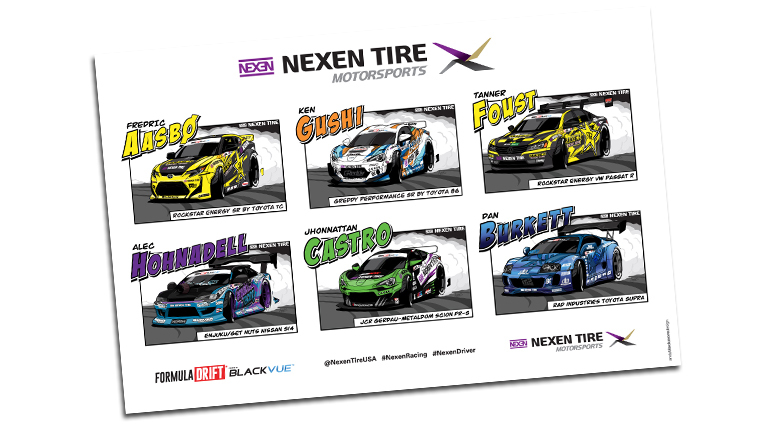 Head over to the dedicated Nexen Tire page on SpotterGuides.com to download your guide, or pick one up printed up as removable stickers from Formula Drift events during 2016! Thanks to Nexen for coming on board and Formula Drift with helping out on assets. 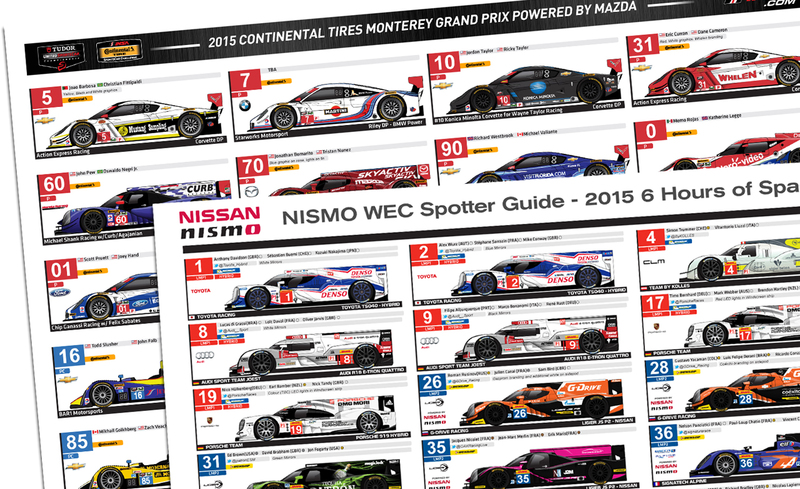 NISMO 2015 Le Mans Spotter Guide now live! 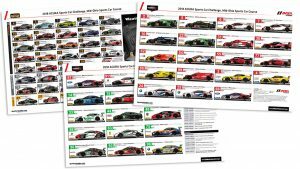 IMSA Laguna Seca and NISMO WEC Spa Spotter Guides released. 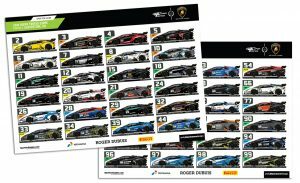 Two Sportscar Spotter Guides have just been released on sister site, SpotterGuides.com, ahead of this weekend’s action in the US and Belgium. 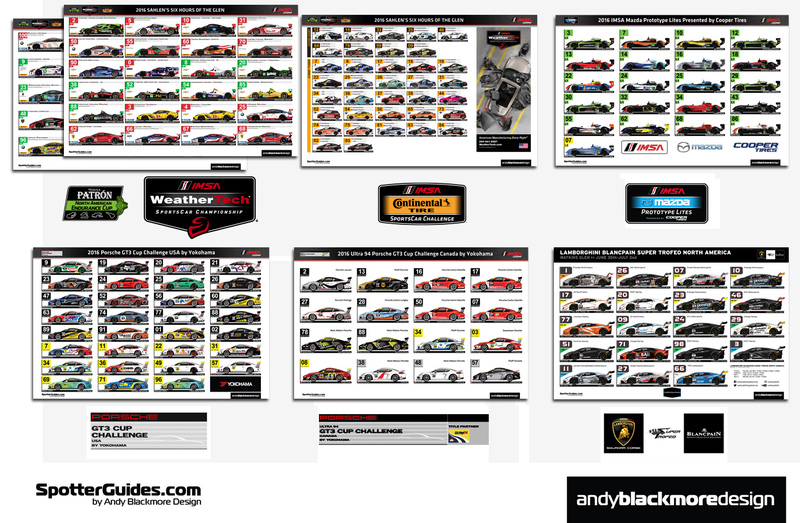 The NISMO Spotter Guide for the WEC 6hrs of Spa Francorchamps. 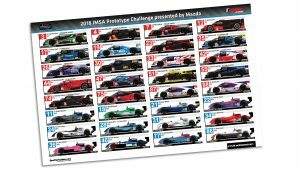 This guide features full car, team,driver and class details in addition to Twitter handles and the all important ACO/FIA Driver rankings. No other guide is as up to date or features so much detail! 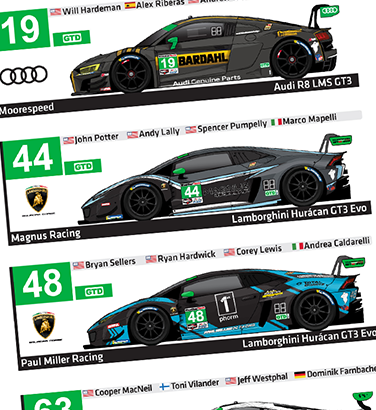 The Official IMSA Spotter Guide for the Continental Tires Monterey Grand Prix at Mazda Raceway Laguna Seca has also been released. 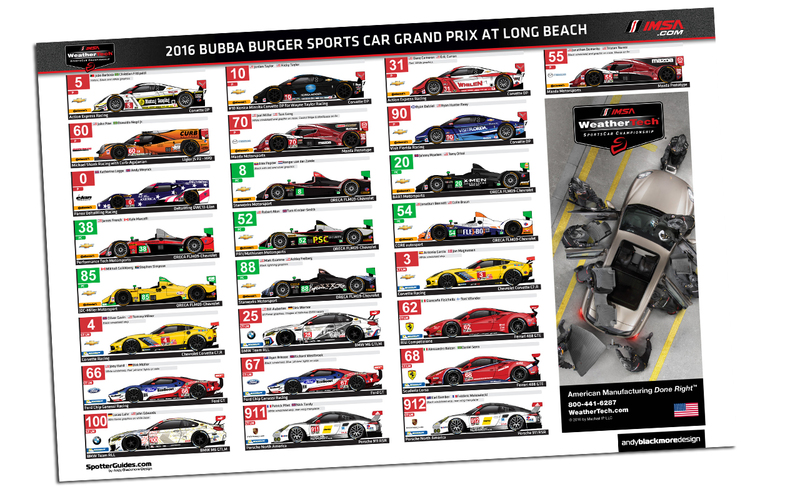 This three page guide features all the TUDOR entries along with leading forty Continental Tires SportsCar Challenge entries. 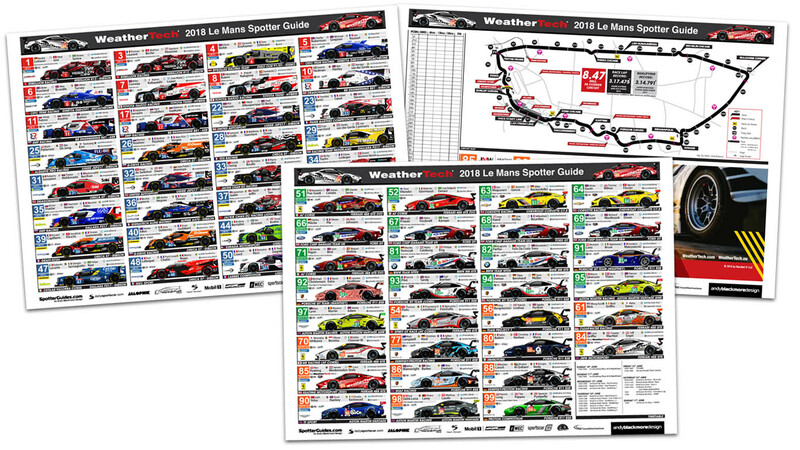 Download the IMSA guide here. 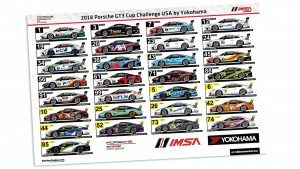 Next guide will be the TUDOR United SportsCar Championship and Continental Tires SportsCar Challenge guide for Canadian Tire Motorsport Park and will be released 7th July. 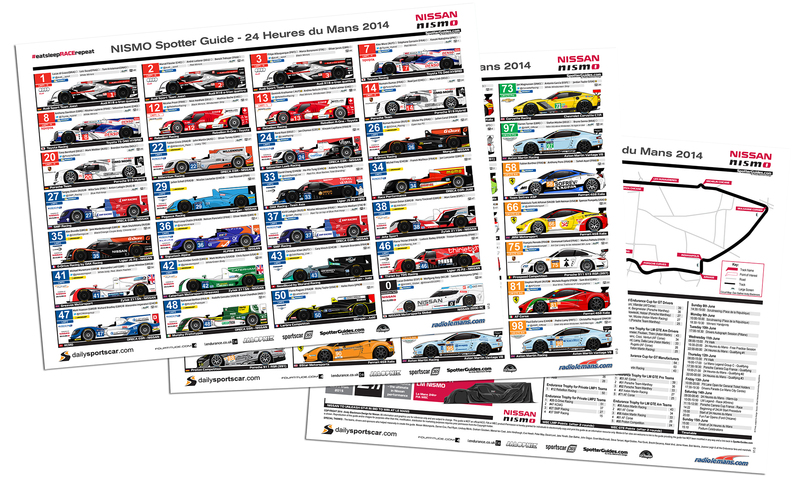 NISMO Spotter Guide for 2014 Le Mans is now live! 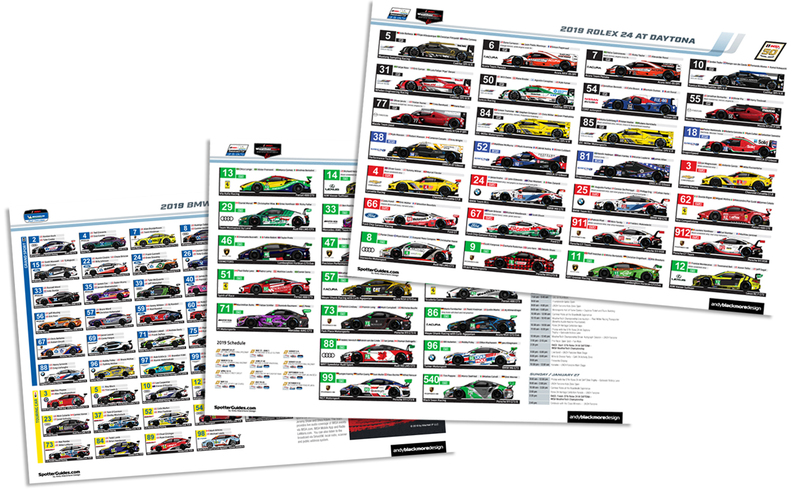 The guide is currently available as a 3 page A3 size PDF and as 3 separate JPEG’s (4500pixels wide) which is perfect for desktop wallpaper and large printing. 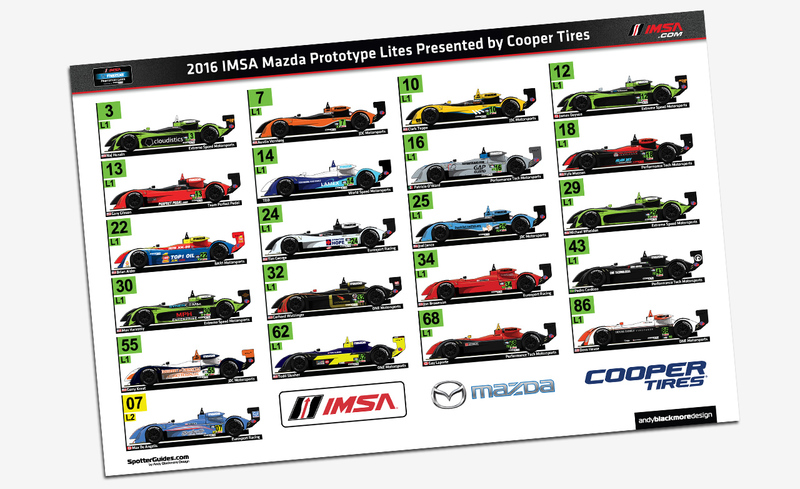 A smaller A4 size PDF is available in High and Low resolution The A4 release is great for home printing and also viewing on a mobile device. A quick update, 2014 has been epic for me this year! Lots of new clients, all very happy and lots of cool fresh designs. I have never worked so hard in my life. Its surprising how little sleep you need……. I have a total of…. 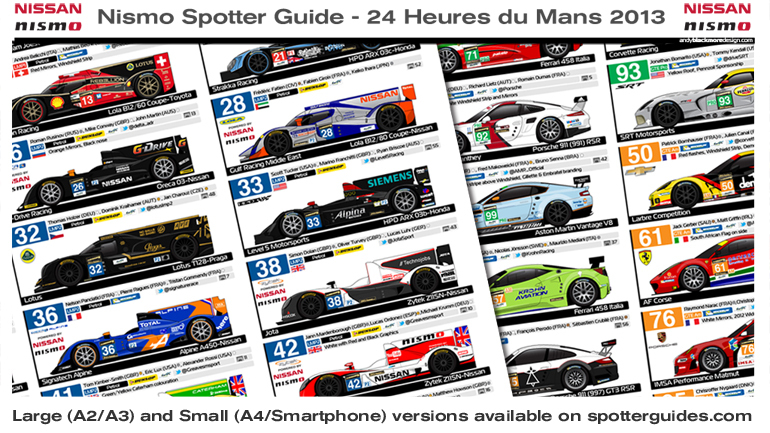 Thank you to everyone who supported and downloaded the Nissan 24 Heures du Mans Spotter Guide during the past couple of weeks. Despite an attempt of a competitor to produce a rival guide (which ultimately failed to be released!) we broke all records on SpotterGuides.com for total number of downloads in a single day, before AND then during the race, beating our total 2012 downloads before the race and increasing our downloads by 20% at time of publication. 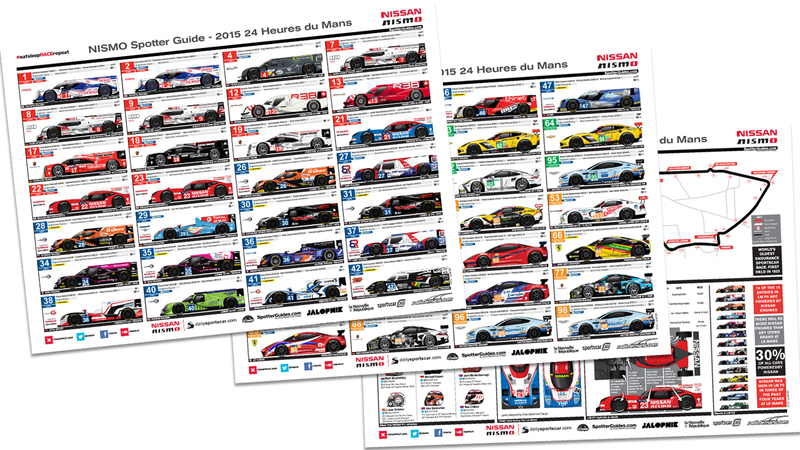 The biggest, most detailed Spotter Guide produced, the 2013 edition of the 24 Heures du Mans, sponsored by Nissan, is now online to download. 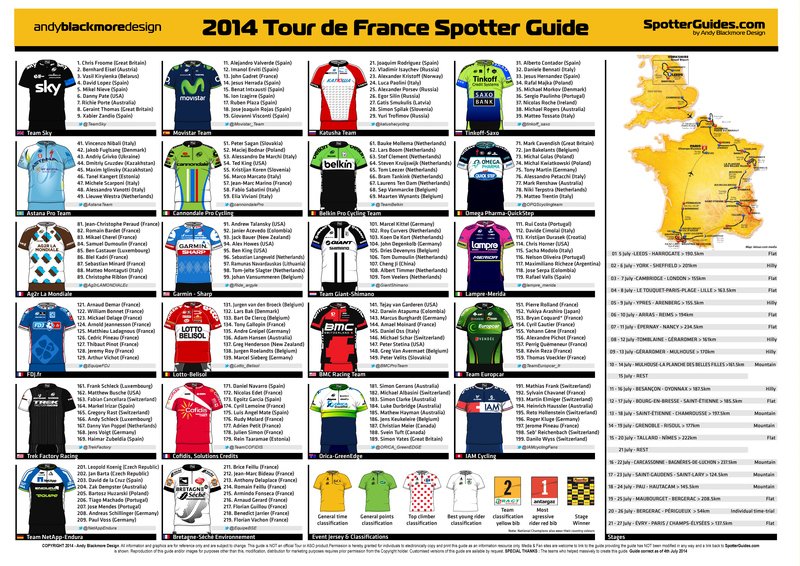 Version 1 of the guide is available for those travelling to the event for Scrutineering. The guide will then be updated early next week, so pop back them if you don’t leave for a few days. 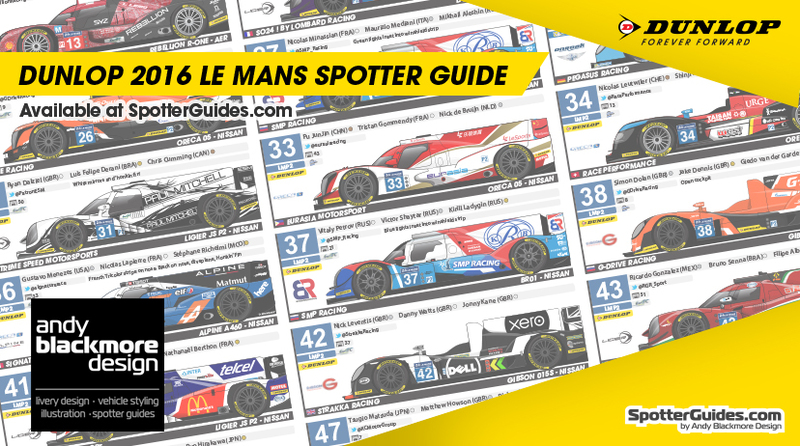 The Nissan 24 Heures du Mans Spotter Guide is bigger than ever with an extra resource page with circuit map, current WEC points, timetable and useful links. 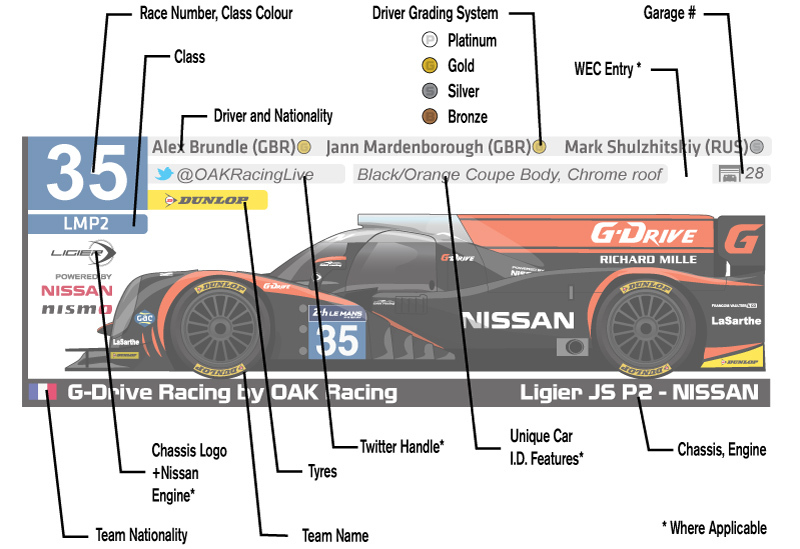 On the main guide pages, we have the usual car and team info, including Tyres, Fuel, Class and Engine. 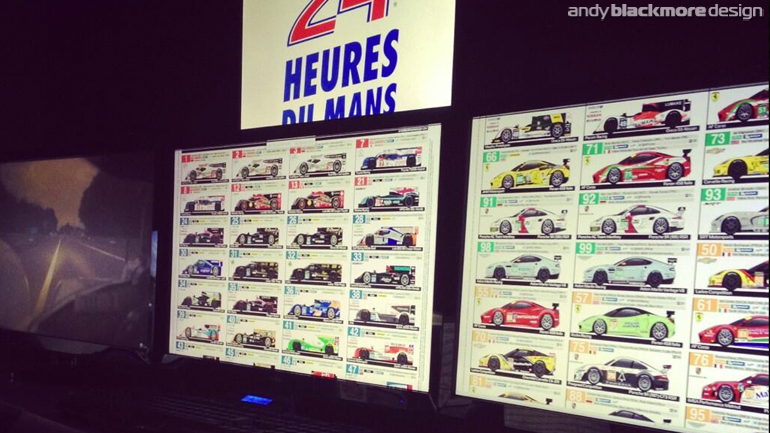 New for 2013 are FIA/ACO Driver Grading icons and Le Mans garage numbers.